God I am here still praying, still under attack from the enemy, the hardest he has ever attacked. At what point do you hear my prayers, send angels and save us from this? Lord I beg of thee for miracle, for peace, for love. Please save my son. Please restore the relationship between him and Will and Sierra. Please save my family. Please keep Will and Anthony & Sierra all calm and in peace and understanding. 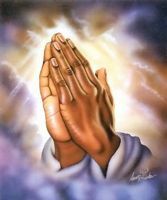 In Jesus name I pray Amen.